As seen on my “Back to Class” post: Kirina’s nerd outfit! This “Urkel” inspired outfit can be adapted in several different ways to get that “dorky” look. Using the Azure Silk Pants will expose more leg-space between the bottom of the pants and the top of the socks – classic “high water-s”. 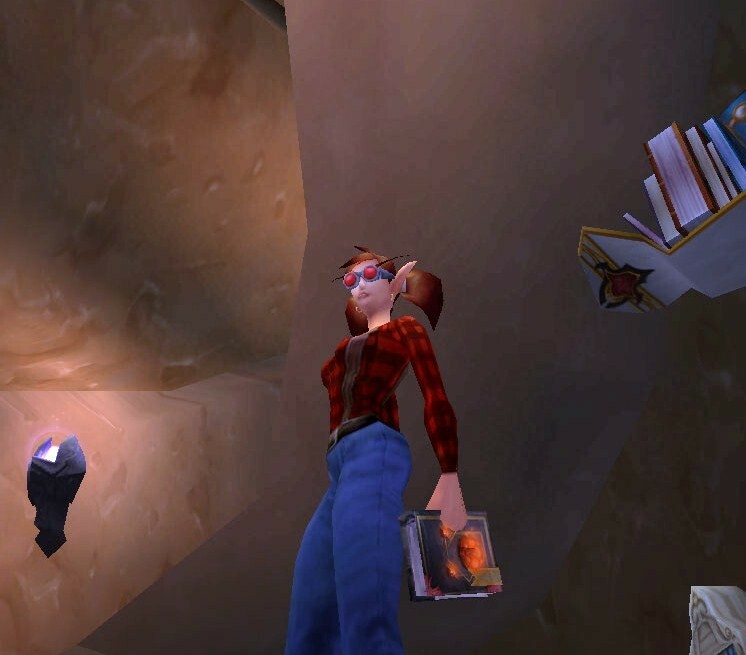 I choose to use the Brewfest Slippers in this outfit because they remind me of Mary-Jane shoes that school-girls used (or still have to) wear. However, they can be substituted for any other shoe to fit ones taste. 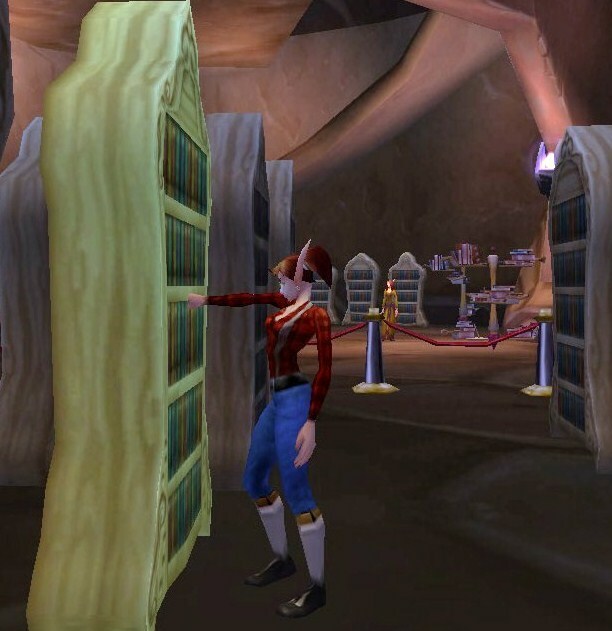 You can add several different items to this outfit, like a book off-hand, such as the Milli’s Lexicon (quest reward). The Ruby Shades can be substituted for any other goggle-like head wear; however, these can be worn by non-engineers. I wish that there was a common head-piece to buy, like the Ruby Shades, however, with clear lenses like real glasses ^_^. This was just something fun and easy for all of us who are heading back to school this week. Keep those grades up!